Save 20% on a Prime membership this Friday. 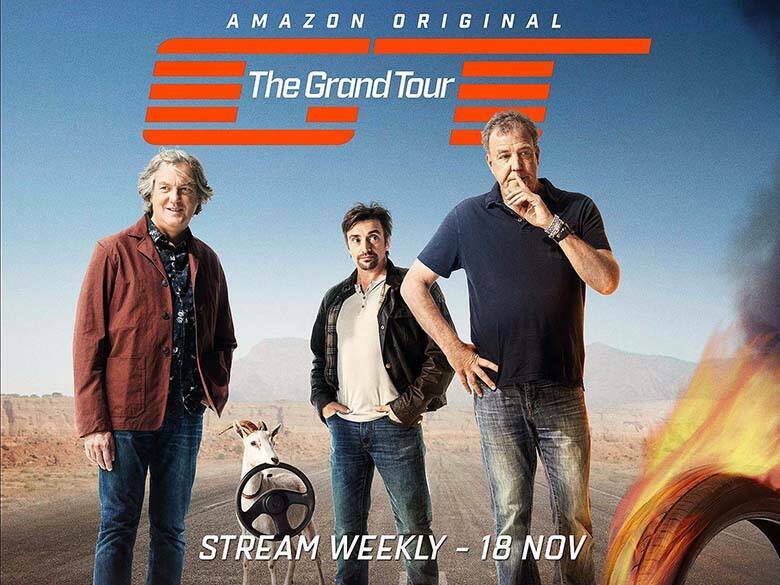 To celebrate the launch of their new original series "The Grand Tour," Amazon will offer new members Prime memberships for $79 on Friday, November 18 at 12:00 a.m. ET. The offer is only good until 11:59 p.m. PT the same day. As always, Amazon is offering this membership deal to celebrate something, and this time it's for the launch of their new show with Jeremy Clarkson, Richard Hammond and James May (all formerly from the hit BBC show "Top Gear"). To sign up for this offer, just go to amazon.com/thegrandtourprime this Friday. There are rumors that Prime membership prices might increase again soon, so it might be wise to jump on one of these deals in case you're contemplating it. "The Grand Tour" will premiere streaming on Amazon Video the same day and new episodes will be released weekly instead of all at once. You can watch the trailer here. Free shipping, including same-day shipping in many locations. Acess to Prime Video. It's not Netflix, but it's getting better over time. You can also download some movies and shows so you can watch them offline. It's also cheap to add additional subscriptions like Starz or Showtime. Free streaming music with Amazon Music. Again, not quite as good as the main competitor (Spotify), but it's free and they don't play ads. You get unlimited photo storage with Prime Photos, which can free up a lot of space on your phone. Kindle Owners' Lending Library - As long as you have a Kindle device, you can borrow one Kindle book each month for free. Get 20% off on all new video games.